With a master's in sustainable development, Susette helps Southern California water agencies carry out their water conservation projects. The place where I live now has no irrigation controller, which means I have to manually turn on each station to water the lawn. We have eight stations for watering the grass on three lawns, plus three more for watering the trees and underlying vines. If I had never used one before, watering this way wouldn't be a big deal, but I have and it is. I should just be able to program the controller once to tell it when and how long I want each station to be watered, and my landscape would water itself. But I have a landlady who refuses to consider it, and I don't really blame her. Because the valves that direct water to the sprinklers are split into four locations, she would actually need four, not just one. Either that, or the entire sprinkler system would need to be re-plumbed to locate all the valves in the same place. Here's how it all works. 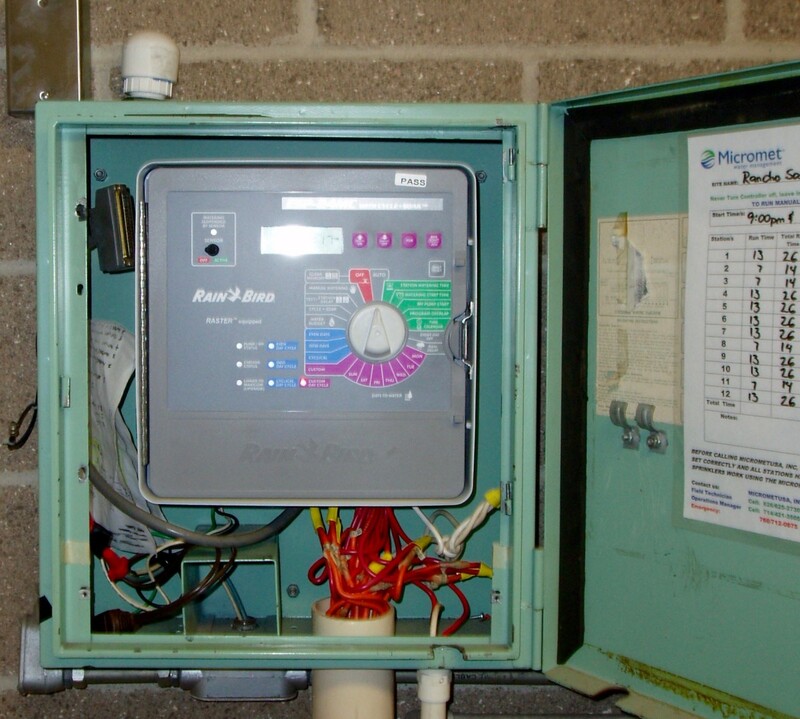 What Is an Irrigation Controller? An irrigation controller is the clock that runs a sprinkler system. You program it to water at particular times of the day and for particular lengths of time, so you don't have to do it by hand. A good controller, programmed well, can make the difference between a landscape that is efficiently watered and one that is not. Really large sprinkler systems covering a lot of area may have more than one. Each controller will have several stations (timers) that water different parts of the landscape. Older controllers and their stations are programmed manually, with the landscaper guessing how much water each section will need. Newer ones connect with special sensors to take weather and other factors into account, modifying programmed schedules to water only when plants are thirsting. The newest ones connect via the Cloud, accessing regional weather conditions, and allowing a homeowner to change the program from a distance. Controllers can have a strong effect on the monthly water bill. 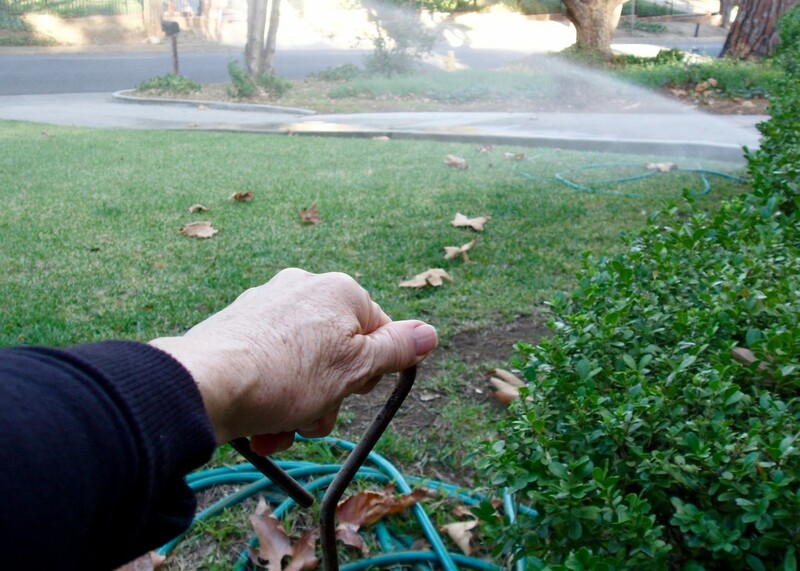 Property managers who inadvertently water their landscapes too much or at inappropriate times of the day nearly always end up with high water bills. There are several different kinds of Weather Based Irrigation Controllers (WBIC) or Smart Controllers. All of them work by using information about the site, input by the landscaper, combined with information transmitted from local sensors or satellite weather stations to modify the watering schedule. WBICs use information like: Weather readings, moisture in the air, moisture in the soil, solar radiation, plant types, soil types, slopes, and water pressure. 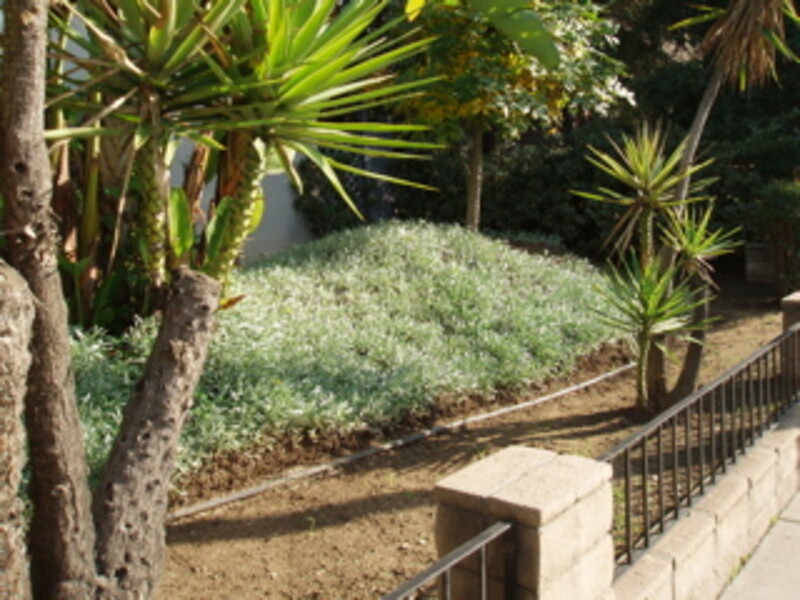 These factors affect the amount of water retained by plants in a landscape, thereby altering the amount of water the controller must allow through a sprinkler system to keep the landscape healthy. Controllers can have anywhere from four to 200 stations hooked up to valves that regulate sets of sprinklers watering a particular location––like rotors that water lawns or bubblers that water bushes. The stations send electrical impulses to their respective valves to open or shut them, letting water through to the sprinklers (or not). Because this works electronically, the controller has to be physically located near enough to the valves to allow for a wired hookup. The location of the valves therefore determines how many controllers you will need and where you will place them (or where you'll find them, if they were already installed when you got there). For example, if all the irrigation valves on a one acre plot are located on one side of the house, that's where the controller will be. This landscape will likely have only one controller with, say, 8 stations. One station might be programmed to water trees and bushes, another to water grass in front, a third for a drought tolerant section, another for medians or parkway, one for a shady section, and another for grass in back, with each section having its own schedule. On the other hand, a six acre site with many different types of plantings spread throughout could conceivably have eight or more controllers with an average of 64 stations each. That's the general gist of the controller/station/valve setup. 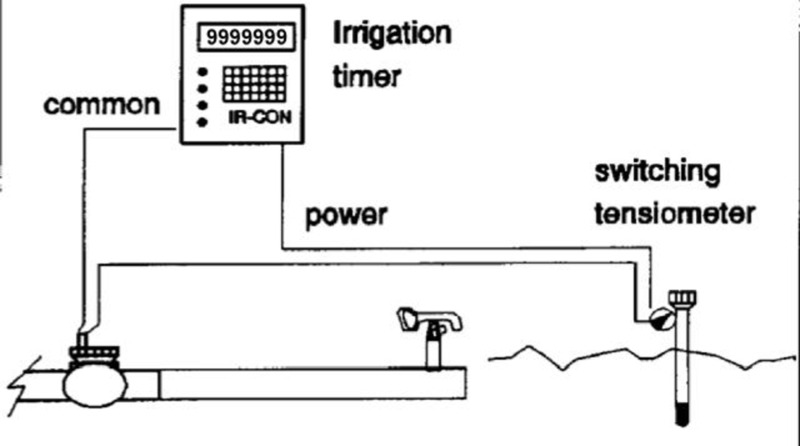 What kind of irrigation control do you primarily use? I turn on stations by hand. I use a regular controller. I don't water at all––just let the rain do it. Watering for short times every day encourages roots to grow near the surface of the soil. When roots amass there, they create an almost waterproof "thatch," leaving little room for water to sink into the ground. This waterproof quality is why houses in Northern Ireland and Scotland used to be covered with thatch, i.e. grass growing on top of the house. 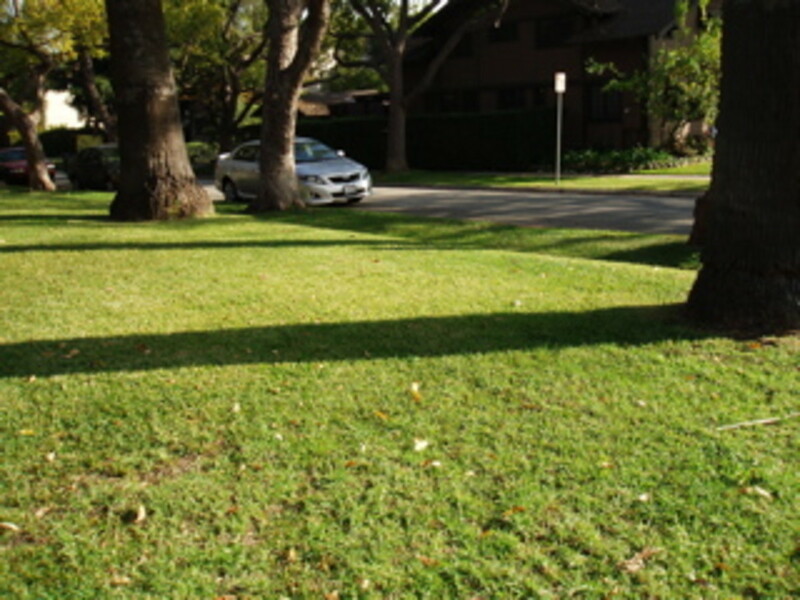 Thatch is the main thing that causes runoff, where irrigation water rolls off the surface of the lawn into the street, instead of absorbing into the ground where you want it. 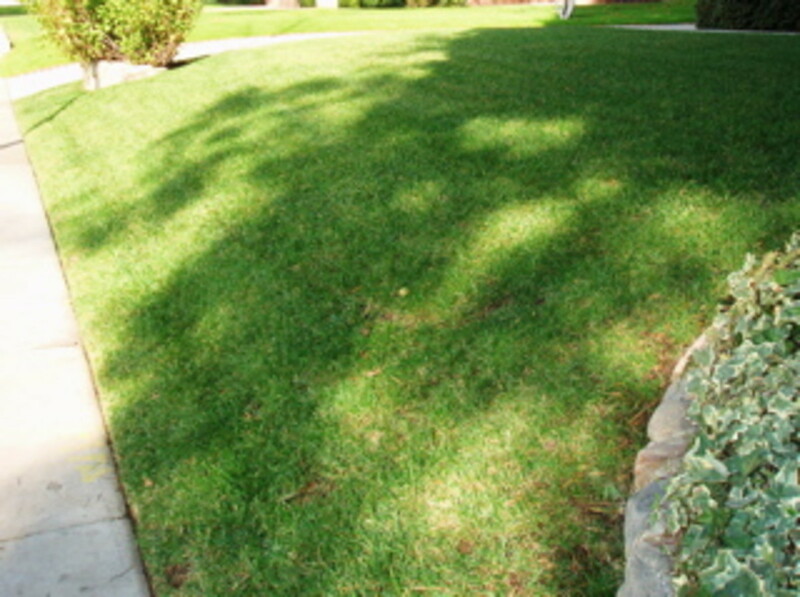 Landscapers commonly control runoff by aerating the soil, i.e. poking holes in the thatch to make a pathway for the water. It works, but then you're spending extra money unecessarily. Against popular recommendation (but with support from experts on the Internet), I started watering once a week for long periods of time. This encouraged roots to grow deeply––following the water downward as the surface dried up. The drier layer at the top was then available to absorb water with the next weekly watering. It worked. My grass is as green as anyone else's in our affluent Southern California neighborhood, even during the hottest part of the summer. There is hardly any runoff and less water lost through evaporation. It's been four years now. 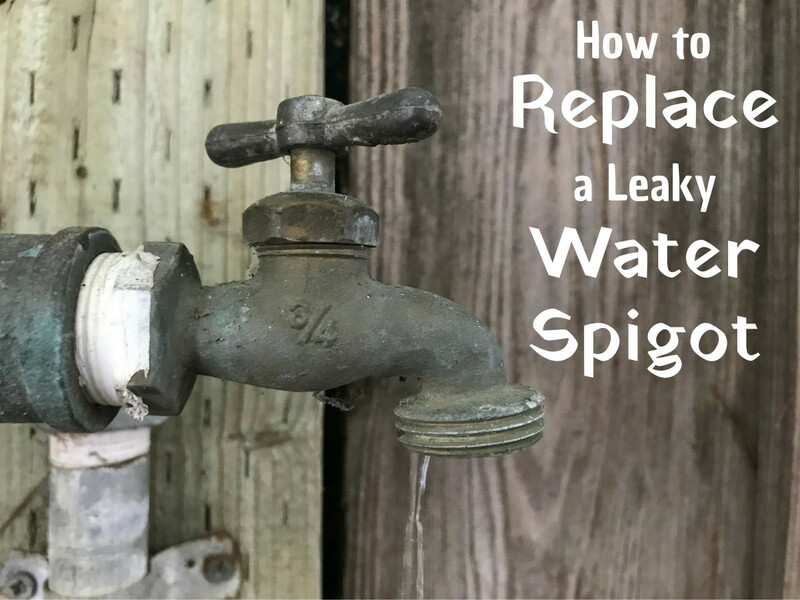 There are some situations in which problems with watering have been blamed on improper controller programming, when in fact that may not be the case. 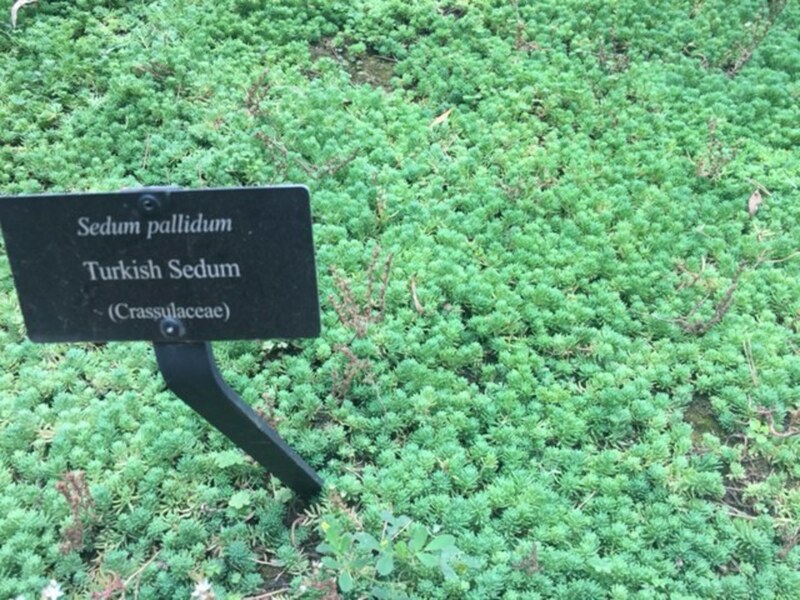 The most common of these mislabels is actually a problem with irrigation nozzles. 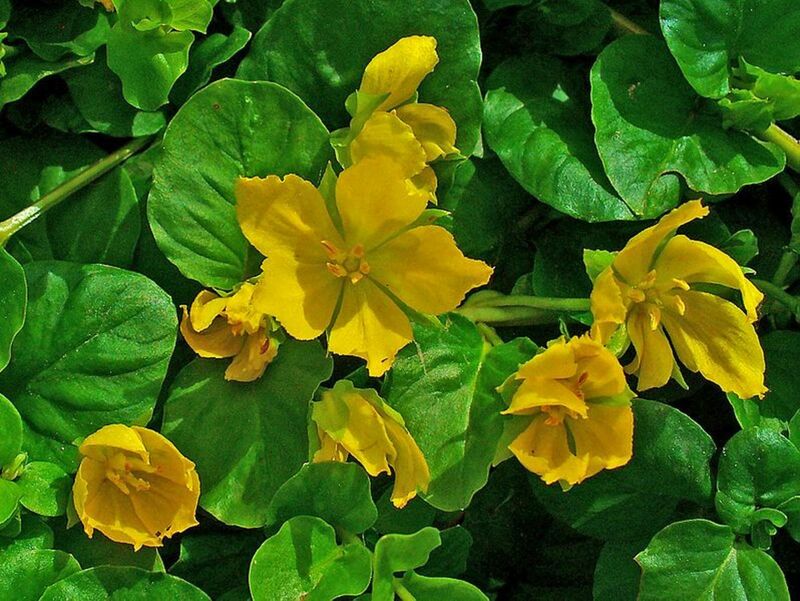 The reason a controller has a number of stations, each with its own timer, is so a landscaper can account for the difference between nozzles and plant types when programming watering schedules. The stations and their valves give much needed control, but a landscaper that bypasses that control––by mixing nozzle types or plant types on the same station––loses the flexibility that a good controller provides. 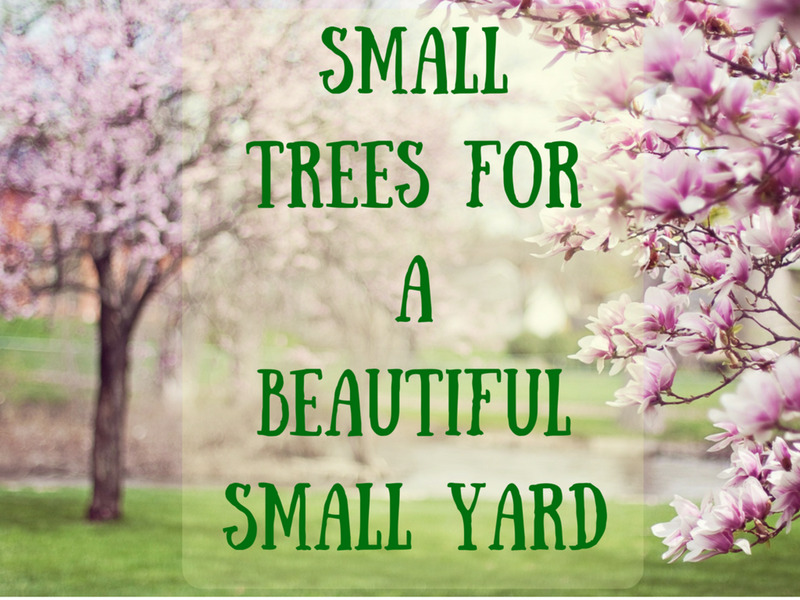 To explain further, different types of plants require different speeds and lengths of watering, and so do different soils. 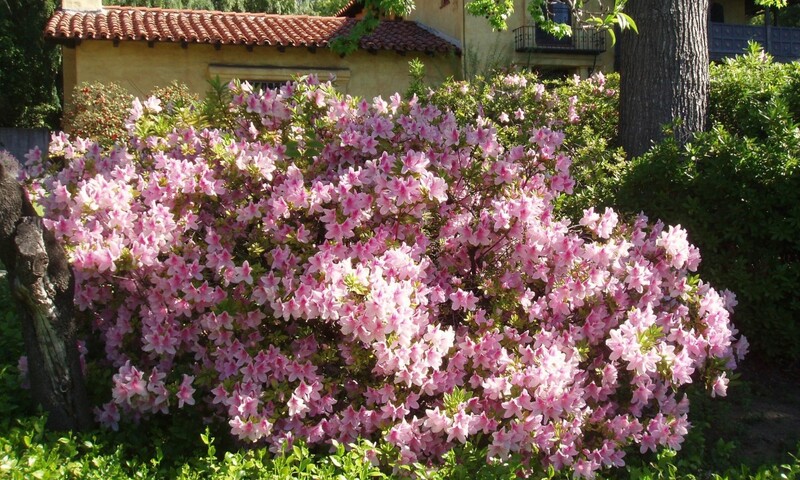 Therefore, distinct plant types––like bushes and grass––should not be watered by the same station, nor should they be watered by the same types of nozzles. Because different types of nozzles allow for different amounts of water through them, if you mix nozzles on the same station, you will cause one area to be either shorted or flooded. Weather (rain) sensors––Connecting this kind of sensor has proven to be the most accurate controller system so far, according to a study conducted by the University of Texas. This system does not rely on state weather data or soil moisture, but measures moisture in the air of your neighborhood. When it starts to rain, felt pads inside the sensor swell, triggering the sensor to turn off the controller automatically. When the rain stops and the pads dry out they shrink, and the controller is reactivated. 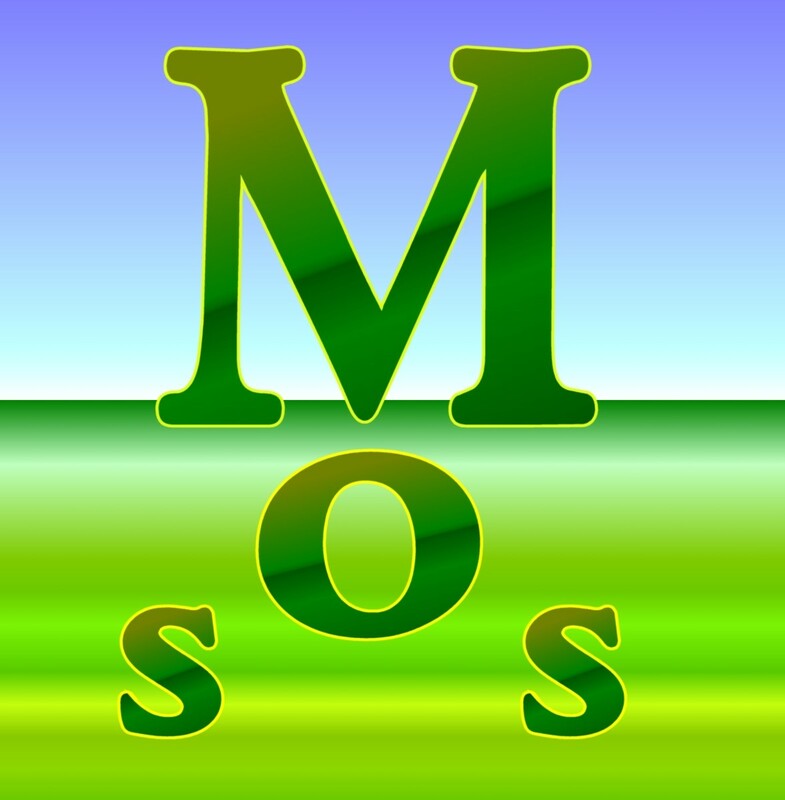 Soil moisture sensors - You can also hook up soil moisture sensors to a regular controller or Smart Controller. These sensors measure the moisture in your soil and, if it's not dry enough, they prevent that location's respective valve from releasing water through the sprinklers. Using this type of sensor makes for very efficient watering, but it does take some initial checking and adjustment. The State of California has a CIMIS system, run by the Department of Water Resources, that gathers weather information from all over the state. 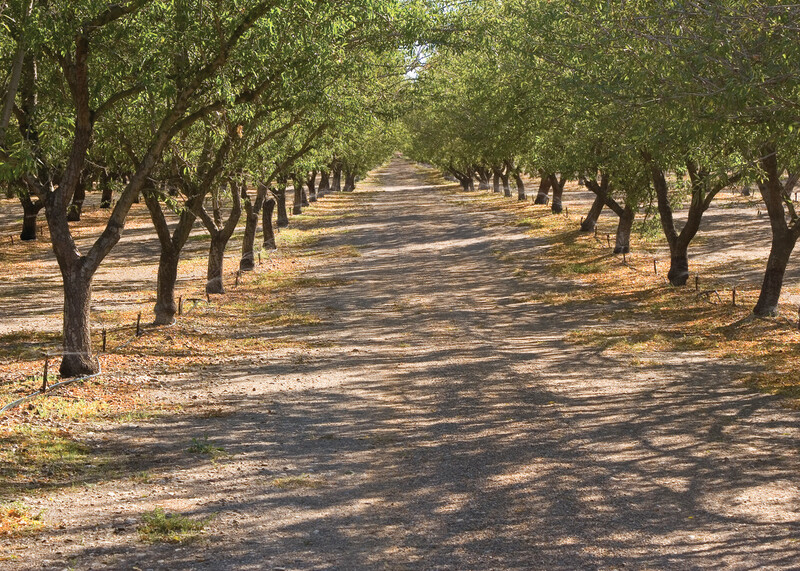 (CIMIS stands for California Irrigation Management Information Systems.) The state set up the system originally to collect its own weather data, but then realized landscape companies and private homeowners could benefit from it too. Readings come from a multitude of weather stations, like the one below, that are placed all over the state, high and low. These stations feed weather data into a central compiler monitored by the state. 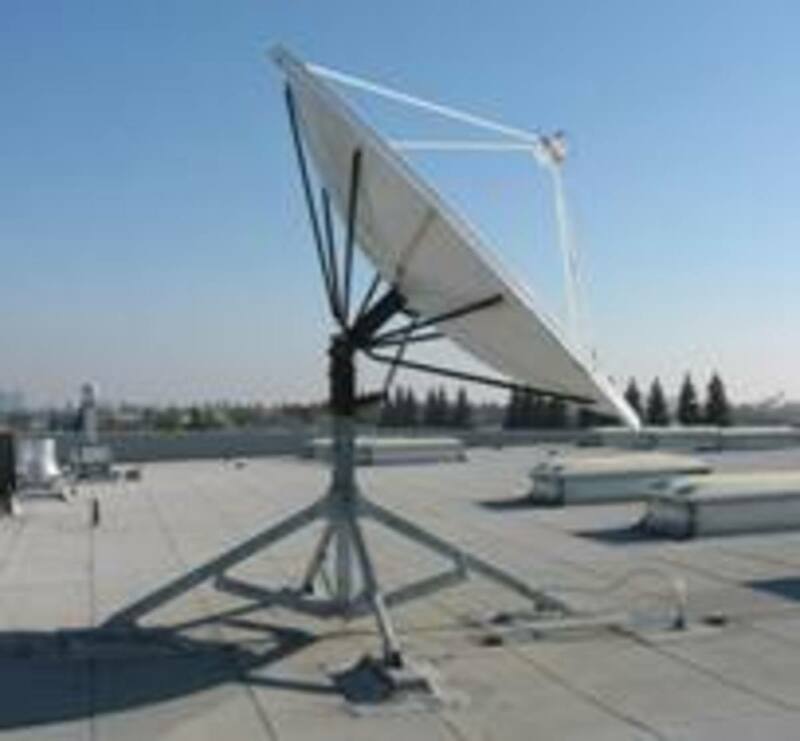 WBIC-controlling websites draw local weather information from the CIMIS system, and use it for their subscribers to control the irrigation timers on their properties. Is it user-friendly? Easy to understand and program? Does it allow for sensors to be attached and read? Can it be controlled remotely? Are there enough stations on each controller to cover all the planting zones the property has? You will need to count how many zones there are. Sunny areas will be one zone, shady areas another, since they require different amounts of water, due to heat and evaporation. Other factors that form "zones" are: Sandy vs. clay soils, slopes vs. flat land, flower beds vs turf areas, tropical vs desert plantings. Does it have a manual shutoff capability for valve and sprinkler maintenance purposes? Can each station be programmed with multiple start times? Does it have a "Cycle and Soak" feature? This is especially crucial in locations with heavy clay soils, steep slopes, or thick thatch where applying too much water at once will flood or cause erosion. If you have several properties whose sprinkler systems you want to run from a single location (like a school district headquarters), you can choose a controller that has the capability to be run by a central control. You can buy the whole system together - the central control and controllers that go with it or, if you already have a central control system, you might only need to purchase additional controllers that let you extend your centrally irrigated landscape. Remember that the real benefits of your new controller/s will depend on how well you set up, test, and adjust it. Once you get one, make sure you and/or your landscaper follow the controller's written instructions. Then check the results several times afterward to make sure you've set it up properly and it's operating efficiently. Have fun shopping. Thanks, economicliving. I think it's important to get the right kind of sensor too - one that goes with the type of climate. Rain sensors wouldn't do much good for someone who lives where it hardly rains, would it? Much better there to use soil moisture sensors.